Home Tags Posts tagged with "buckwheat"
Steelhead season on the Salmon River was rather slow this year. A little bit like deer season, come to think of it, a consequence of two consecutive cold winters. 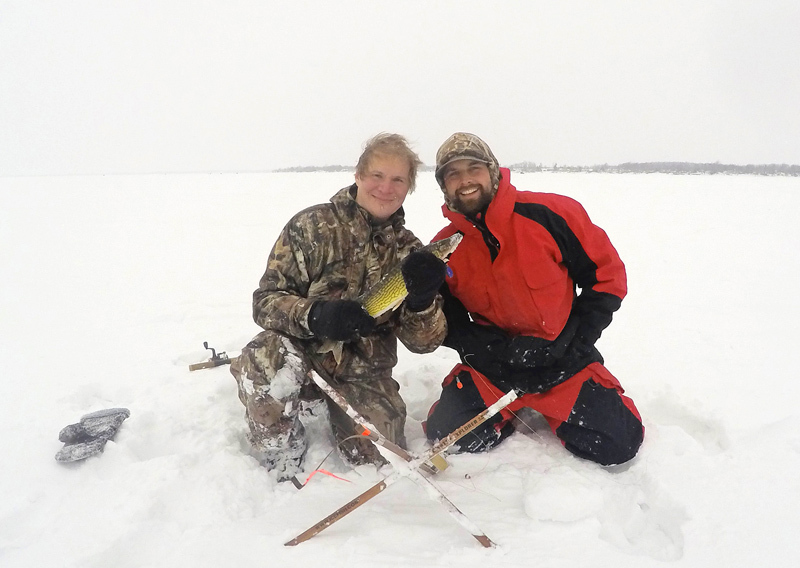 Considering that I grouped my hunting and fishing outings into a single trip around Thanksgiving, it made for an uneventful and often frustrating ten days (except for the duck hunt, which I’m saving for another post). Still, I did end up catching a small brown trout, so I don’t complain too much. I’m not entirely sure how today’s recipe came to fruition. I did take some inspiration from Vladimir Sorokin’s Day of the Oprichnik, which I was reading around the time I caught the trout. This isn’t exactly a cookbook; it’s a dystopian novel taking place in Russia’s near future. But the author sits his characters at the dinner table on a few occasions, and lists a good number of dishes in the process. What especially caught my attention for some reason is the oprichnik’s breakfast. 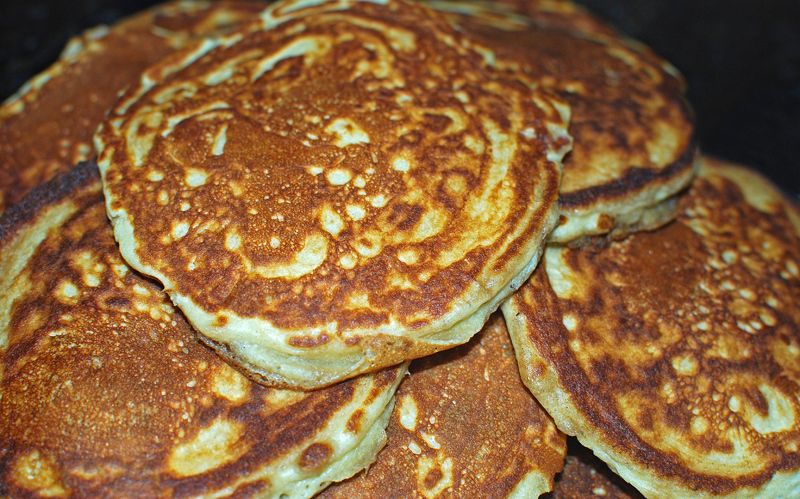 When the main character wakes up, his servant is “carrying a traditional hangover assortment: a glass of white kvass, a jigger of vodka, a half-cup of marinated cabbage juice.” Then later, at the breakfast table, another domestic “serves cheese pancakes, steamed turnips in honey, and cranberry kissel”. Well, put all that into a glass, add a nice brown trout, cover, shake well, and apparently you get buckwheat blini with trout and chanterelles, cabbage sauce, and honey-glazed turnips. Vodka and kvass to be poured on the side. The buckwheat blini are quite interesting on their own. 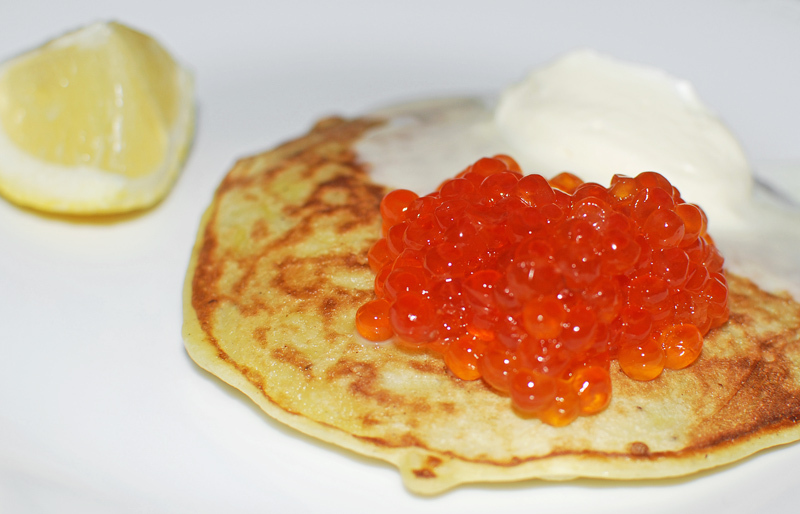 With buckwheat and blini each being so emblematic of Russian cuisine, it feels natural to put the two together. But while there are buckwheat blini in Russia, this isn’t something you see that often nowadays. On one hand, read your favorite authoritative Russian cookbook (you must have one, don’t you?) and you’ll see that the original traditional blini were made with buckwheat and yeast, with either water or milk. On the other, go to any store or restaurant in Russia today, and the blini you’ll see will most likely be very pale and thin, made with wheat flour and no yeast. This is because, some time during the past century, convenience took over. 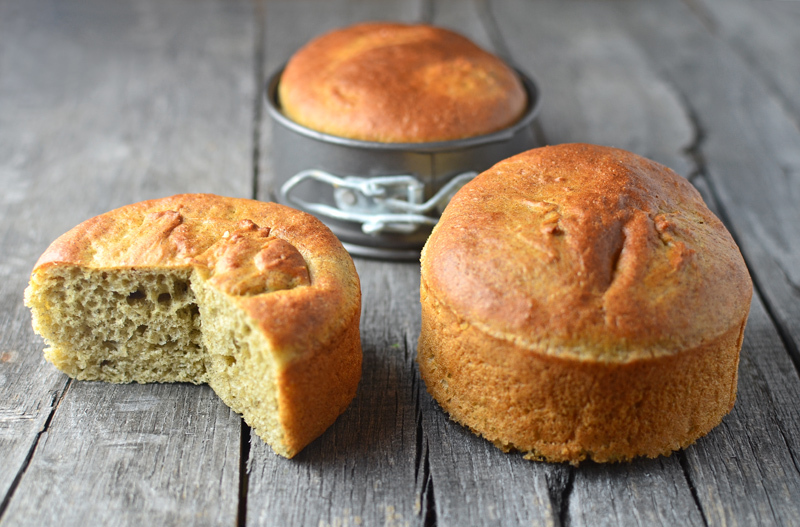 Yeast was replaced by baking soda, an import from the West, to save time on leavening. 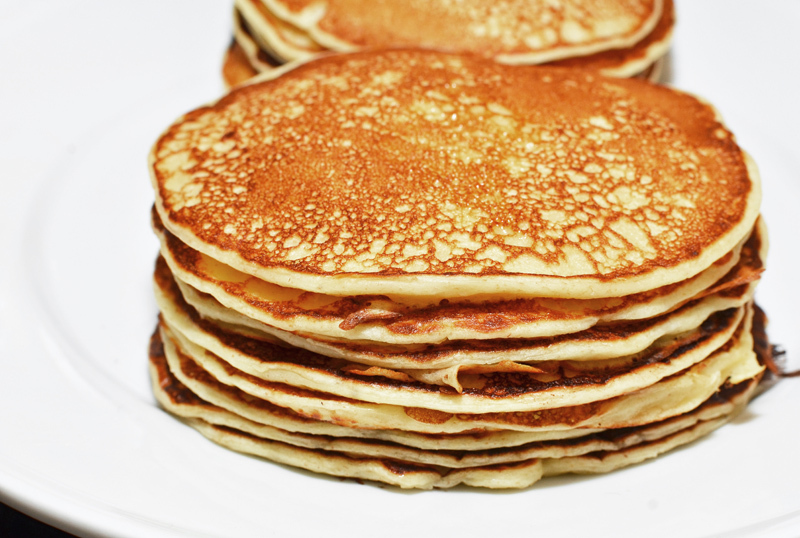 Wheat flour became the norm, maybe because its gluten content makes the pancakes more pliable. The original stuff was relegated to dusty Russian restaurants abroad, where dishes were named after forgotten tsars and topped with caviar just because. But there’s another place where buckwheat pancakes were and still remain popular: Brittany. There, buckwheat galettes are made with just buckwheat flour, water, and salt. 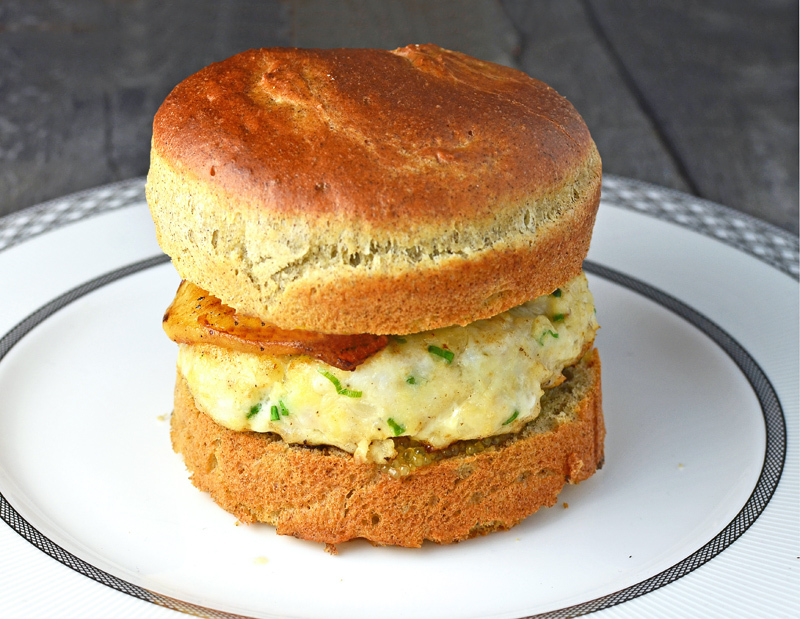 They’re then filled with ham, cheese, and eggs (for the galette complète), or whatever else you fancy — classics include sausages, smoked fish, bacon, goat cheese, tomatoes, mushrooms, spinach, or even the infamous andouille, a smoked chitterlings sausage. The pancakes are very thin, since the recipe doesn’t call for yeast, milk, or egg, so they too are different from the original Russian blini. In case of irreconcilable cognitive dissonance, just fall back on my previous blini recipe. Otherwise, the buckwheat recipe below is worth trying. It only departs from the Breton canon in a couple of ways: I use an egg, and slightly less water. In the bowl of an electric mixer fit with the paddle attachment, mix the buckwheat flour and salt on low speed. Add the egg and half of the water, and mix on medium speed until homogenous. Repeat with the rest of the water. To aerate the batter, whisk another 4 minutes on medium speed, and 2 minutes on high. Heat a 20 cm diameter non-stick pan over medium heat, waiting until it’s really hot. Melt and spread a little bit of butter in the pan. 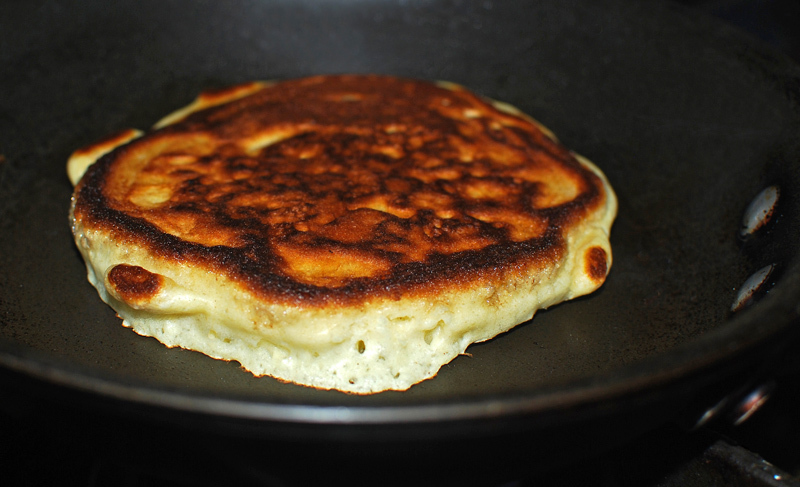 Pour one ladle of batter into the pan (one full 60 ml ladle should yield one blini). Swirl to cover the bottom completely, without lifting the pan too high, so that it remains as hot as possible. If you want to do it like a pro, use an offset spatula to spread the batter — this way you don’t have to lift the pan at all and you can spread the batter as thin as you want. Keeping the pan hot is important to get the nice little holes characteristic of the galettes from Brittany, but for an Eastern Europe recipe I guess they’re not really essential, so it’s up to you! Cook the blini like you would any thin pancake. Once the batter is firm enough, flip, and cook about 30 seconds on the other side before removing from the pan and reserving on a plate. Spray a little bit of water on the edges if they look dry. Repeat until you run out of batter. Don’t hesitate to whisk the batter for a few seconds if the air bubbles have disappeared. Cover the blini with plastic wrap, and reserve. Cut the chanterelles into halves or quarters, depending on their size. In a small saucepan over medium heat, sauté the shallots in the butter until translucent. Add the chanterelles and season with salt and pepper. Cook until the chanterelles are tender, and any liquid from the mushrooms has evaporated. Let cool. Mix in the parsley, and reserve. In a small saucepan over medium heat, sauté the cabbage in the butter for a couple minutes, stirring constantly. Season with salt and pepper, add the milk, then cover, and cook over low heat for 5 minutes, until tender. Transfer to a blender, add the lemon juice, and process until smooth. Reserve. Blanch the turnips in salted boiling water, keeping them slightly undercooked. Drain. In a small saucepan over low heat, combine the butter, honey, and water. Cook for a minute, then add the turnips and cook for a couple minutes, stirring constantly. Remove from heat, and reserve. Pour the water, salt, and sugar into a blender, and process until dissolved. Cut the trout fillets into 4 equal portions, then place in a dish, cover with the brine, and refrigerate for about 2 hours. Drain the fish, and pat dry with paper towels. Place the portions in sous-vide pouches (use anywhere between 1 and 4 pouches), each with one slice of butter, and vacuum-seal. Cook the trout pouches in a 115 F water bath for 25 minutes. Reserve. Heat a non-stick pan over medium heat, and wait until hot. Gently reheat the cabbage sauce and honey-glazed turnips. Take the trout out of the sous-vide pouches, and drain on paper towels. Melt and spread a little bit of butter in the pan. Place a blini in the pan, add a piece of trout in the center, and top with some chanterelles. Fold the edges of the blini over the filling so it is completely covered. When the blini starts browning, flip with a spatula, and cook on the other side for 30 seconds or so. Remove from the heat, and cut the blini in half diagonally. Spoon some cabbage sauce in the center of a plate. 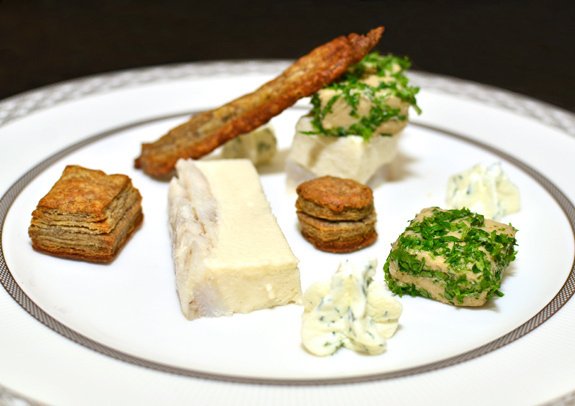 Arrange the two halves of the blini on top, garnish with a few turnip pieces, and sprinkle with chopped parsley. Optionally, crown with a generous dollop of tvorog or sour cream. Serve and repeat with more blini. It all started with Irina Chadeyeva’s Vypechka po GOSTu, a compilation of Soviet era baking hits, from the Kiev cake to the kartoshka (each of which I’ve encountered here and here, respectively). Chadeyeva’s recipes, often named after cities from the four corners of the Empire, for reasons unknown, are backed up with nostalgic pictures of the Good Old Days when communism was forever, money barely existed, the future was all mapped out, cakes tasted considerably better with buttercream, and nobody in their right mind used fruit for anything other than preserves. This is perfect fodder for Food Perestroika: dishes that haven’t evolved for decades and were once dictated largely by product scarcity and shelf life. So… maybe for my first experiment I went slightly overboard. I’ve changed the original recipe so much that I can’t even remember what page of the book I took inspiration from! Was it the roll with buttercream and jelly (p. 44)? The roll with tvorog (p. 47)? Or the Czech roll (p. 50), a chocolate sponge with chocolate buttercream and chocolate glaze? None of these contains blueberries or mousse or buckwheat, let alone crème anglaise or apple sorbet or freeze-dried blueberry powder, that’s for sure — plated desserts weren’t exactly a Thing in the Soviet Union. Well, they certainly should have been. Blueberries, apples, and buckwheat abound in Russia, and so do rolls and frozen desserts. Thanks to the blowing winds of Perestroika, people no longer need limit themselves to dry sponge cakes, buttercream, nuts, and chocolate. The stand mixer and the ice cream maker are the hammer and sickle of the the 21st century baker! As usual, I’ve adapted a sorbet from Liddell and Weir’s Frozen Desserts. I’m thinking it would also be nice to throw some crispy apple chips somewhere on the plate, but I’ll let you experiment with that on your own! In a small saucepan, bring the water to a boil. Remove from the heat, add the sugar and the vanilla extract, and stir until dissolved. Measure 285 g of the sugar syrup, discarding the rest (or reserving it for another recipe), and return to a saucepan large enough to contain the apples. Bring to a simmer over medium heat. Thinly slice the apples directly into the syrup, bring back to a simmer, then cover, and cook until tender. Remove from the heat, and let cool for a few minutes. Transfer the contents of the saucepan to a blender, add the lemon juice and water, and process to a smooth purée. Transfer to a plastic container, cover, and refrigerate until completely cold. Chill the preparation in the freezer for another 30 minutes. Churn in an ice cream maker, following the manufacturer’s instructions. Transfer to the freezer for at least 8 hours before serving. In the bowl of an electric mixer fit with the paddle attachment, beat the egg yolks, water, and granulated sugar to a pale ribbon. Mix in the salt, white flour, buckwheat flour, and baking powder. Whip the egg whites with the cream of tartar to soft peaks, then mix in the superfine sugar. Gently fold the egg white mixture into egg yolk and flour mixture using a spatula. Using an offset spatula, spread the batter onto a baking sheet lined with a Silpat, forming a 22 cm x 30 cm rectangle. Bake in a 200 C / 400 F oven for about 11 minutes, until slightly golden. Immediately transfer the Silpat to a cooling rack, and let cool. In a saucepan over medium heat, bring the blueberries, sugar, and water to a simmer, stirring regularly. Using a hand blender on low speed, crush the blueberries in the saucepan, then simmer for 10 minutes. Pass the mixture through a chinois, pushing to extract as much flavor as possible. Mix in the lemon juice, cover, and let cool. In a saucepan over medium heat, cook the blueberries and granulated sugar for about 5 minutes, until the berries become soft. Reserve 1/3 of the blueberries whole. Transfer the rest into a blender and process until smooth, adding the gelatin while the blender is still running. Pass through a chinois, and mix in the remaining whole cooked blueberries. Let cool in an ice water bath until the purée thickens but not until it’s completely set! Whip the egg whites to soft peaks, then mix in the superfine sugar. Gently fold this meringue into the blueberry purée. Whip the cream to soft peaks, and fold into the blueberry mixture. Refrigerate until the mousse is almost firm, but still spreadable. Transfer the sponge to a cutting board, and trim to a clean 21 cm x 29 cm rectangle (or whatever you can get). Cut the rectangle in half — you’ll be making two rolls. Spread some blueberry syrup on both sides of each sponge half (there might be some syrup left). Then, on only one side of each sponge, spread the blueberry mousse (again, there might be some left), leaving 2 cm clear along one long edge of each rectangle. 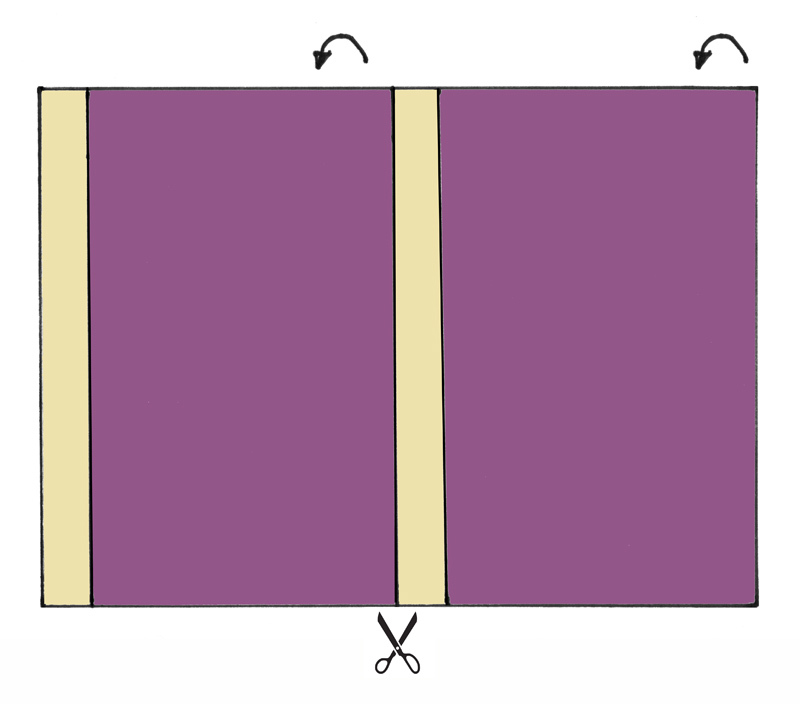 Roll each rectangle; check out the above diagram to help you get a better idea. There will be some blueberry mousse coming out of the ends of each roll, but don’t worry about it. Refrigerate until firm. In a small saucepan over low heat, melt the chocolate, butter, and cream to make a glaze. Trim the ends of each blueberry roll, and place onto a tray lined with parchment paper. Coat both rolls with just one half of the chocolate glaze, using an offset spatula to spread it evenly. Put the blueberry powder in a sugar shaker, and sprinkle about half of it over the chocolate. Refrigerate until the glaze is set. Reheat the remaining half of the chocolate glaze. Flip the blueberry-chocolate rolls, and coat with glaze until the sponge is entirely covered, again using an offset spatula. Sprinkle with the remaining blueberry powder, and refrigerate until set. In a small saucepan over medium heat, toast the buckwheat for a couple minutes. Add the milk, bring to a simmer, and cook for 10 minutes. Remove from the heat, cover, and let rest for 30 minutes. Strain the mixture in a colander, discard the buckwheat, and measure 250 g of the milk. In a bowl, whisk the egg yolks with the sugar to a pale ribbon. Bring the 250 g of milk to a boil in a saucepan, and pour onto the egg mixture, whisking constantly. Return to the saucepan, and mix over low heat to 175 F.
Pass through a chinois, and let cool in an ice water bath. Cover and refrigerate. Cut a 3 cm x 25 cm rectangle from a sheet of paper to make a stencil. 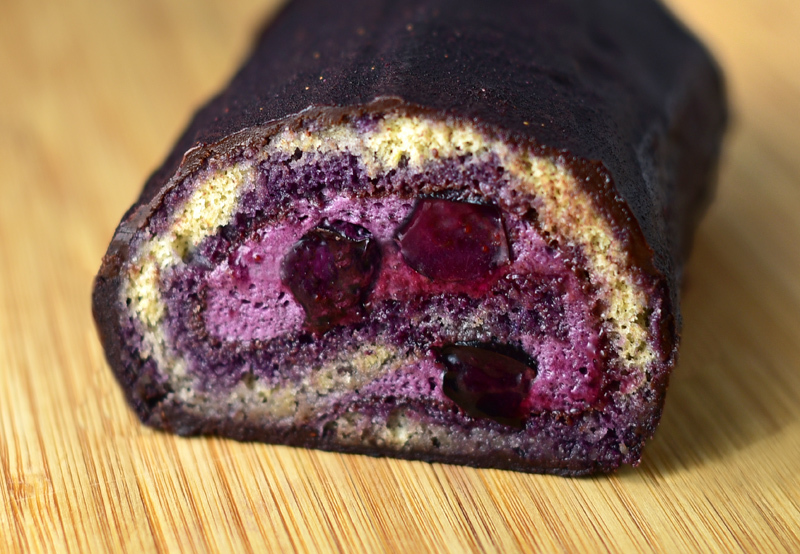 Trim off the edges of the blueberry-chocolate rolls, and cut each roll into 3 thick slices. 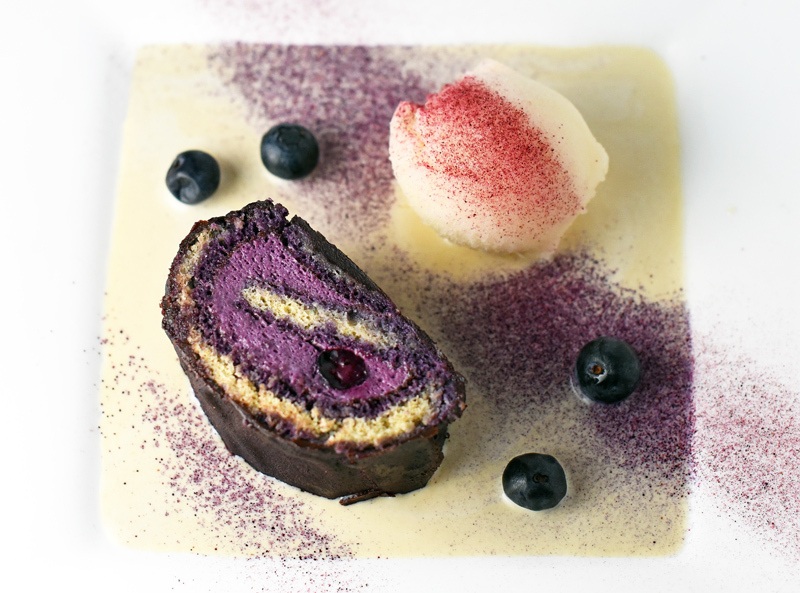 Cover the bottom of each plate with buckwheat crème anglaise, then arrange a slice of blueberry-chocolate roll and a generous scoop of apple sorbet. Position the paper stencil and sprinkle with freeze-dried blueberry powder to create purple stripes over the sorbet and crème anglaise. Decorate with the fresh blueberries, and serve. Here’s a recipe with no particular source of inspiration other than some traditional Eastern European ingredients — the buckwheat, the potatoes — and techniques — pounding and stuffing the meat. 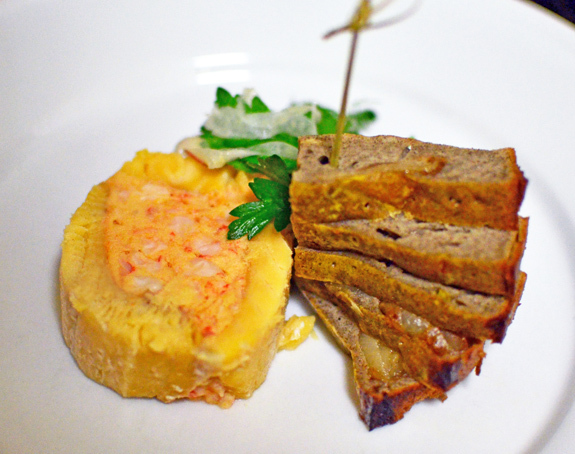 I love surf and turf dishes, and veal’s mild flavor makes it particularly suitable for seafood pairings. The mouth-watering green apple purée goes admirably with veal, crab and potatoes. If you want to complement the chop with a sauce, I would recommend something simple with reduced veal stock, mushrooms and butter. More and more, crab meat tends to come from South America or Southeast Asia, and warm sea species are a lot less flavorful than their cold sea counterparts. Whenever possible, look for Maine rather than Venezuela. And of course, fresh plastic containers are far superior to cans. My picture shows a potato knysh as a side, and I’ll have a recipe for it in the near future. 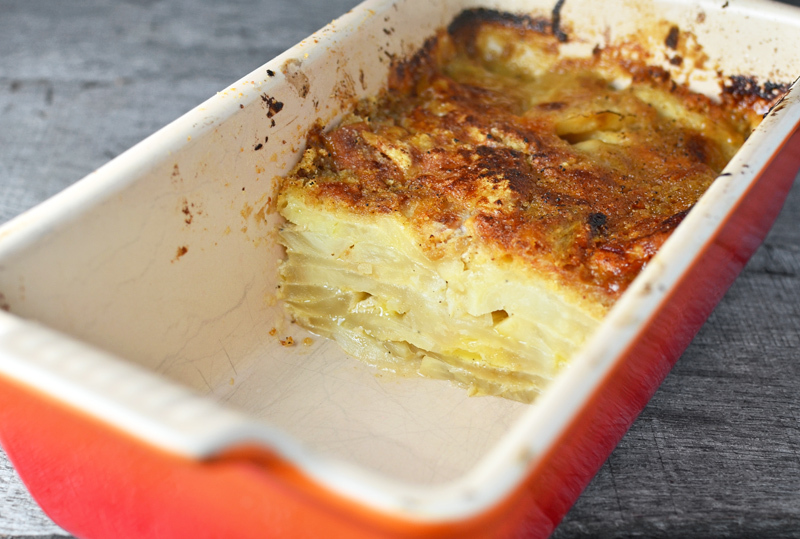 You could also serve this dish with potato gratin or deruny. In a saucepan over medium heat, sauté the scallion whites in half of the olive oil until translucent. Add the kasha, season with salt, and cook for 2 minutes, stirring constantly. Add the water and butter, cover with a lid, and cook over low heat until the liquid is fully absorbed. Remove from heat and let cool. Pick the crab meat to remove any cartilage pieces, and place into a bowl. Add in the kasha mixture, the rest of the olive oil, piment d’espelette and scallion greens, then rectify the seasoning and reserve. 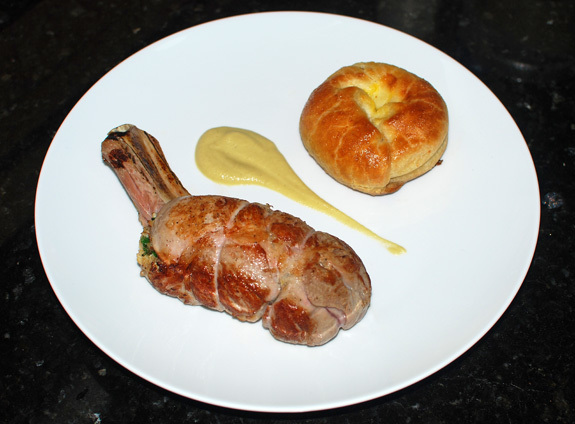 Place each veal chop between 2 sheets of plastic wrap, and pound to a 5″ x 6″ rectangle using a meat pounder. Don’t be afraid to pound directly on the bone, too. Discard the plastic wrap and season with salt. Place some stuffing near the side where the bone is still attached, then roll into a cylinder and tie with butcher’s twine. Do not overfill, even if you end up with some leftover stuffing. Tightly wrap in clean plastic film, and refrigerate for at least 8 hours. Slice the apples. Brown the butter in a pan over high heat, add the apples, and cook for 2-3 minutes, stirring regularly. Add the veal stock, and simmer over medium heat until almost completely reduced. Stir in the scallions, and let rest for 5 minutes. Sauté the veal chops with olive oil in a very hot pan until brown on all sides. Transfer to a 350 F oven, and cook to desired doneness. Remove the twine, and let rest for 5 minutes. Reheat the apple purée in a saucepan over medium heat, and serve with the veal chops. There are literally hundreds of Russian pancake recipes. The Bolshaya Kniga Domashney Kukhni by Svetlana and Lidia Lagutina alone counts more than 70! These recipes distinguish themselves by the type of flour or starch used (wheat, buckwheat, rye, semolina, potato), the raising agents or aerators present in the batter (yeast, baking soda, beaten egg whites, yogurt), and their use (plain with toppings, stuffed, or stacked with filling to make a cake). The thickness is also of particular importance in the Russian taxonomy: blini are alway thin, whereas thick pancakes are called oladi. The thick yeast-free blini would really be called oladi in Russian. These are very airy pancakes that can be prepared quickly thanks to the beaten egg whites. 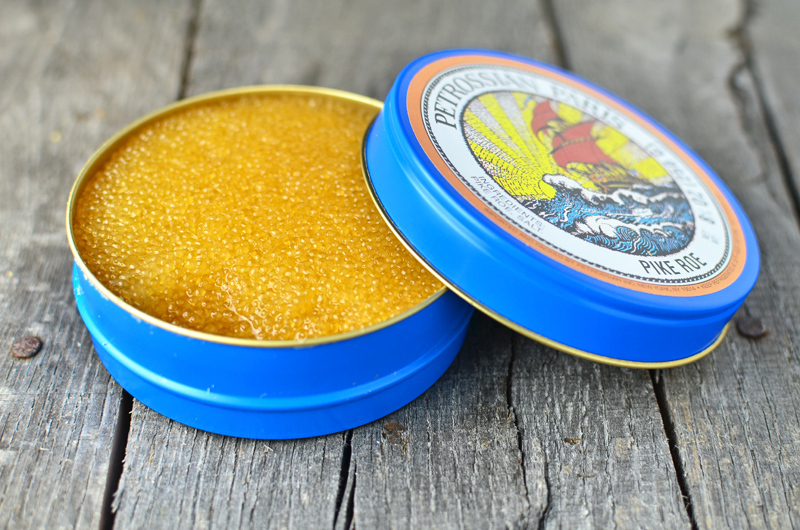 They go particularly well with strong flavors, like herring, salmon roe or eggplant caviar. 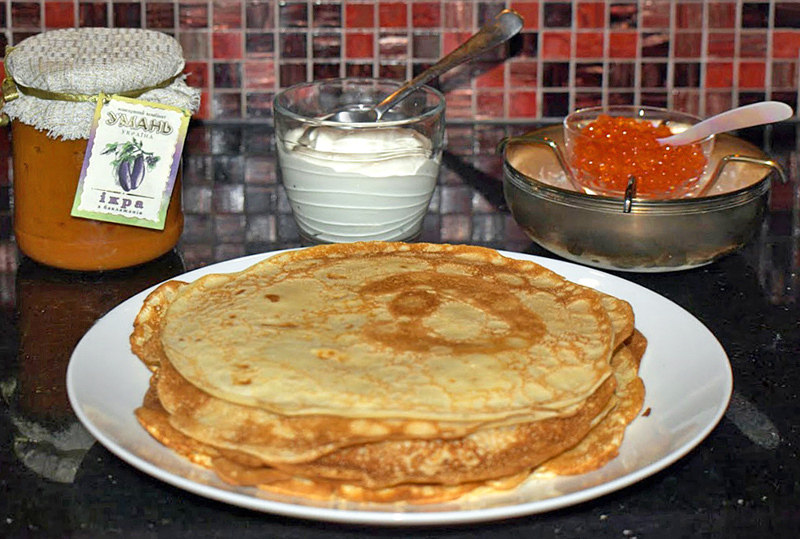 The buckwheat blini are somewhere between the blini and oladi in thickness, with a very traditionnal batter. Try them with smoked or cured salmon (like my recent kippered and marinated recipes). The potato blini, too, should be called oladi because of their thickness. You can use them like the yeast-free blini. In the bowl of an electric mixer, mix the flour, baking soda, powdered orange peel, salt, sugar, milk and eggs with the paddle attachment on medium speed until smooth. Add the water and melted butter and mix again. Cover with plastic wrap and let rest for 30 minutes. In the bowl of an electric mixer fit with the paddle attachment, mix the flour, salt and baking soda. Add the egg yolks and half of the milk, and beat over low speed until smooth. Add the melted butter and the rest of the milk, and beat again. Mix in the yogurt. Cover and let rest for 30 minutes. Whip the egg whites to soft peaks, and fold into the batter. Mix the milk and yeast, and let rest for 10 minutes. Mix the buckwheat flour, white flour and salt. Mix in the egg yolks and the milk mixture. Cover with plastic wrap and let rest in a warm place for about 1 hour, until it has doubled in volume. Incorporate the crème fraiche. Beat the egg white to soft peaks, and fold into the batter. Place the potatoes in a pot with cold salted water, bring to a boil, and cook until tender. Rice the potatoes, cover with plastic wrap, and let them cool. In a bowl, mix the flour, baking powder, milk, egg, egg yolk, salt and ground pepper. Add the riced potatoes and mix well. Let rest for 30 minutes. Whip the egg white to soft peaks and gently incorporate into the batter. Place a tiny piece of butter in the pan, and spread it with a paper towel. Ladle in a spoonful of batter. My blini are about 7″ diameter, and the oladi half of that. For the thin blini only, swirl the pan to spread the batter. Cook until golden brown, then flip with a spatula. Cook until the other side is golden brown, then reserve on a plate with a small piece of butter on top. Repeat until you run out of batter. For the potato blini only, place the fried pancakes in an oven-safe dish, cover with foil, and bake in a 350 F oven for an additional 10 minutes.